Get ready to start seeing more of Taylor Swift and Joe Alwyn out as a couple. We’ve got EXCLUSIVE details on why she’s ready to make their romance more public. Taylor Swift, 28, has always been fairly public when she’s in crazy in love with a guy, but the singer has kept her romance with British actor Joe Alwyn, 27, so deep under the radar. While they see each other plenty, WE don’t see THEM. Now she’s ready to bring their relationship more out into the open. “Taylor is eager for her tour but is still all about her relationship with Joe and those two things will absolutely co-exist. Things have worked so well with having their relationship be in the shadows but she actually trusts him so much, loves him so much and sees how much the relationship is working that she would like to be more out and about with him,” a source close to the superstar tells HollywoodLife.com EXCLUSIVELY. “She feels that it would be cool to show that she is in love and happy to her fans. She doesn’t want to show off, but she would enjoy being out with him more and if people see them together then so be it because she feels that Joe could be the one so why not enjoy it out in the open a little more,” our insider adds. The couple was just spotted hiking in Malibu on March 8 as she was holding on to the arm of her handsome fella on a daytime date. That was the first time in 2018 that they’ve been photographed together. Maybe it was a baby step into going out in public together more often. While Taylor seems to have professed her love and adoration for Joe in many of the songs on reputation, including “Gorgeous” and “Delicate,” she’s still never officially confirmed her romance. The couple has been together since the spring of 2017 and it wasn’t until June 4 of that year that they were photographed having coffee together on a balcony in her Nashville hometown. The only two other public sightings of the pair were in Dec. of 2017. On a rare outing she held his hand as they went to dinner on her Dec. 13 birthday in NYC. Days before that, fans were able to snap pics of the happy couple dancing and hugging in the audience during a Dec. 8 Jingle Ball performance in the city. Hopefully as Taylor kicks off her stadium tour in May we’ll have seen more of the couple before then. One of the greatest singing sensations of the generation who feel the heart of every little girl out there. Taylor Swift has reached a level of fame which is unbeatable in this age; she has earned her fame and recognition in this world. Yes, we are talking about Taylor Swift here. She has given us some new dimensions of music and new generation songs as well. Let us get to know her a little better. Her real name is Taylor Alison Swift and she was born on 13 December 1980 on the land of Reading Pennsylvania. She was born to the parents Scott Kingsley Swift who was a financial advisor and Andrea Gardner Swift who once was a mutual fund employee but then preferred to be a housewife. She has a baby brother who is younger to her named Austin. She had spent few early years of her life as a child at Christmas tree farm and she went for to Alvernia Montessori School for her kindergarten schooling. Later the family moved to the suburban town of Pennsylvania and she got transferred to The Wyndcroft School. When she was 9 she had her interest developed in music and she had performed at Youth Berks Theatre Academy productions. She regularly had to travel to New York City to take her acting and music lessons. Later she was sorted about her interest getting developed in country music with listening to Shania Twain’s songs and getting inspired. This had opened her doors to the music industry and she dreamt of herself being a singing sensation one day soon. 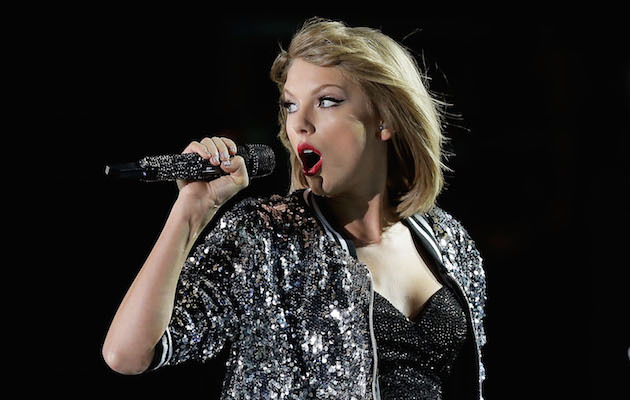 Taylor Swift had spent hours performing live at many events and then when she saw a documentary of Faith Hill she felt that should move to Tennessee to develop her music career and get a head start for that. When she was 11 she went to Nashville with her mom to the recording labels and submitted a few of her recorded tapes thinking that she might get a break. However, to her disappointment, Taylor Swift was rejected this time but that did not stop her from moving forward so she thought of doing something with the extraordinary way so that there is no chance of being rejected. She learnt and wrote her first ever song which was ‘Lucky You’ when she was just 12 years old and she was taught the three cords of guitar by a computer repairman. Her parent always taught their daughter to be the very best and started working with a music manager in New York Dan Dymtrow. With his help, she got her first ad campaign which was from the brand Abercrombie & Fitch. She also got her song compiled on the Maybelline CD and she got to record with some famous record labels as well. She once performed her songs at RCA Records Showcase and was offered an artist development deal. When she decided to blend in the country music she got shifted to Tennessee and her family moved into the Lakehouse in Tennessee and there she attended the Public High School. Soon after that when she was 14 Taylor Swift joined the Aaron Academy which would cater homeschooling and also tutor her for her music. Taylor Swift commenced at an early age and managed to grab the fame she has today. It was in 2004 in Nashville when she worked with songwriters like Troy Verges, Brett Beavers, Brett James, Mac McAnally and Warren Brothers and most importantly she had a great tutor-student relationship with Liz Rose. Rose was tutoring her with some writing lessons after her school and she also mentioned that she was just being an editor to Swift’s writing because she always knew what Rose was trying to teach her and wanted her to write. Then this was a huge break that she got when she got signed with Sony/ATV Tree Publishing House. In 2005 Taylor Swift was singing at a showcase in Blue Bird Café in Nashville and she caught the attention of Scott Borchetta who was an executive at Dream Works Records and wanted to have a label of his own which he called Big Machine Records. Taylor Swift signed her as his one of the very first signing and her father bought 3% percent stake at the blooming company worth $120,000. The record label hired a new director and she began to work on her very first debut album. She wrote 3 of the songs of her album by herself and co-wrote the others with the writers like Rose (her tutor), Robert Ellis Orrall, Brain Maher and Angelo Petraglia. The album name after her name Taylor Swift was released in 2006 and The New York Times believed it that it was a small masterpiece of the pop-minded country and that week she was number 5 on the Billboard 200. At first, Borchetta was being criticized was launching a 16-year-old writer girl to sing songs for him but then these songs were being appreciated by the teenage girls who listened to the country music. Following Tim McGraw, four other singles came to the music industry given by Taylor between 2007 and 2008. 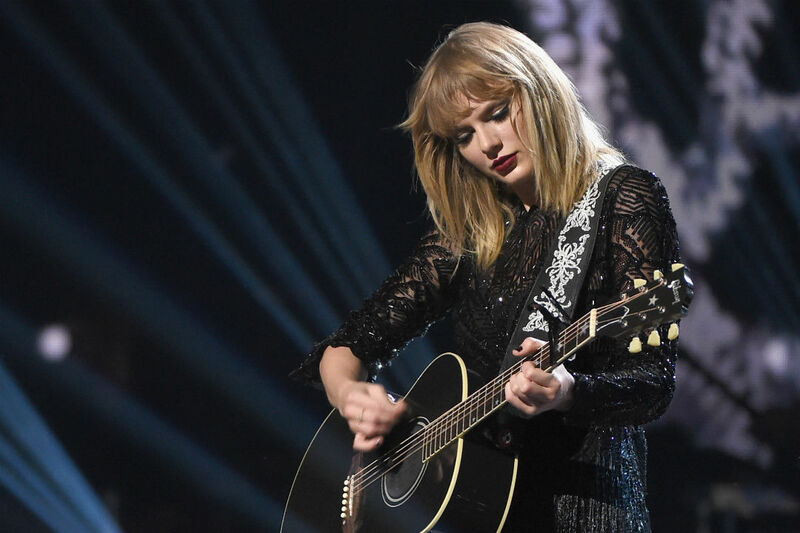 These songs namely Teardrops on my Guitar, Our Song, Should’ve said no and Picture to Burn were the hot songs on the Billboard and brought all the attention to this singer of the new generation. Taylor Swift in 2008 dropped her next studio album named The Fearless with the lead single being Love Story which was released in September that year and was a smashing hit in the international markets as well. Another single from that album was a white horse, fifteen, you belong with me and fearless with you belong with me being on the second number on Billboard 100. The fearless tour that year grossed over $63 million. In 200 the video of the song You Belong with Me was released and won the MTV Music Video Award for Best Female Music Video. That day her acceptance speech was interrupted by Kanye West and this became a subject of mockery and controversy for many days that year. That year was a lucky one for her as she had won 5 American Music Awards that year including the Artist of the Year Award and Favorite Country Album as well. Taylor Swift had also won Accolades for fearless in 2010. The highest honor of valor was awaiting her on 52nd Grammy music awards when her album Fearless won the Album of the Year and the Best Country Album while the white horse was awarded as the Best Female Country Vocal Performance and Best Country Song. She was also named as the most important new pop-start of the year by numerous magazine and newspapers as well. There was a never ending list of awards which her album Fearless had got her including the Association’s Album of the Year Award. She has also backed her vocal to John Mayer’s ‘Half of my Heart’. Taylor Swift also co-wrote the songs of Hannah Montana: The movie featuring Mylie Cyrus. She had her contributions in 2 songs of the movie Valentine’s Day out of which Today was a Fairytale became the hot song on Canadian billboard 100. She made her first acting debut on the episodes of Crime Scene Investigation. Then she was seen hosting and performing at the show Saturday Night Live. In movies, Taylor Swift had her acting debut in the movie Valentine’s Day in 2009 and she was also having an affair with the co-actor Taylor Lautner at that time. In 2010 another was released by her named ‘Mine’ and with its success, she became the second female artist in the United States in the history of hot 100 to debut more than one track. Taylor Swift next album Speak Now was released on 25th October 2010 was a great success and which maintained its number one spot on the Hot 100 billboards that year. She also got her name encrypted in The Guinness Book of World Records for all of her Speak Now tracks being on the hot 100 billboards. At 54th Annual Grammy Awards, she won 2 awards namely Best Country Solo-Performance and Best Country Song while at American music awards she had won Artist of the year and Favorite Country Album that year for speak now album. Taylor Swift was being criticized by many but at the same time people cherished her talent and loved her. She was an international star by now. In 2012 she released another single named We are Never Ever Getting Back Together which was from her fourth album Red. It became an international success by being a top song on the US and New Zeeland hot billboards. After this song, another one which was a commercial hit was ‘I knew you were trouble’. Red was released on October 22nd, 2012 and this album had so many new and different genres being beautifully sung by her. With this album, she made her spot again in the Guinness Book of world records for 2 million selling openings of the album as a lead female singer. At 56th Annual Grammy Awards, her song I knew you were Trouble was awarded for having the best music video and had received many other awards including American music awards that year. In 2013 she was seen dating the British Singer Harry Styles. In 2014 she moved to New York to work on her fifth studio album named 1989 with many writers. She had done a lot of promotion for this new album via a lot of ad campaigns and inviting fans to visit her at her sessions. The album reached the markets on 2nd October 2014 and received appreciation. This album sold 1.2 million copies in the US is at the top 200 billboards for which she again got her name on the Guinness Book of World Record. In 2015 it was seen that 1989 has sold 8.6 million copies worldwide gaining her a lot of love and attention from all over the globe now. Taylor Swift song from the album named Blank Space was the first song to reach a billion views. The video of Blank Space and Bad Blood received numerous awards including The Accolades and MTV Video Music Awards. Taylor Swift in 2015 she performed at the 40th anniversary special of Saturday Night live singing the songs shake it off and I saw her standing there. In March 2015 she started dating a Scottish DJ and Record Producer Calvin Harris and by mid-2015 the couple became the highest rated couple for the rating of highest paid celebrity couple over the past year for Forbes’. Taylor Swift relationship ended by June 16 and before that, they had co-written a song this is what you came for. In the following August of the same year, her mother was diagnosed with cancer and she appeared numerous times on the media for just promoting everyone to go and have a medical examination done. Then she recorded the biggest hit of all times with Zayn Malik which came out this year the track was I don’t want to live forever which was ranked as number one soundtrack being followed in Sweden. Taylor Swift is known for her philanthropic deeds and is appreciated always. She has been a public figure since the very beginning when she endorsed for the first time for Abercrombie & Fitch. The media people had always wanted to know about why is her dating life was at stir these days and she slammed everyone by saying that she does not want her personal life to be discussed in public anymore. The Hollywood Reporter has credited her as the best person after Bill Clinton and has also awarded her. Michelle Obama had described her as one of the bets lead singers of this generation, an inspirational girl, and role model as well. She was named as the style icon by American Vogues in 2011. She has also made her spot on the list of Forbes’ 100 most power woman and there is this never ending list of what she has achieved. She is the true rock-star who has never failed us with her songs and work. Taylor Swift is one of the best singer in the world. Taylor Swift Considers Joe Alwyn ‘Hu..
Watch Taylor Swift Show Off Her Dance ..
Joseph Kahn Drops Hints About Taylor S..
Taylor Swift Proves Selena Gomez Is St..
Keith Richards Throws Major Shade At T..
Taylor Swift Fans Send Death Threats T..
Meek Mill Pissed With Nicki Minaj For Prais..
Kanye West Ready To End Feud With Taylor Sw..
Kim Kardashian & Kanye West Planning Truce ..
Selena Gomez Regrets Being 'So Open' After ..
Khloe Kardashian Shares The 1st Sneak Peek ..